Emmarentia is changing daily. Many houses are being renovated or extended. High walls are now the norm. But what did Emmarentia once look like? Lourens Geldenhuys bought part of the farm Braamfontein in 1886. 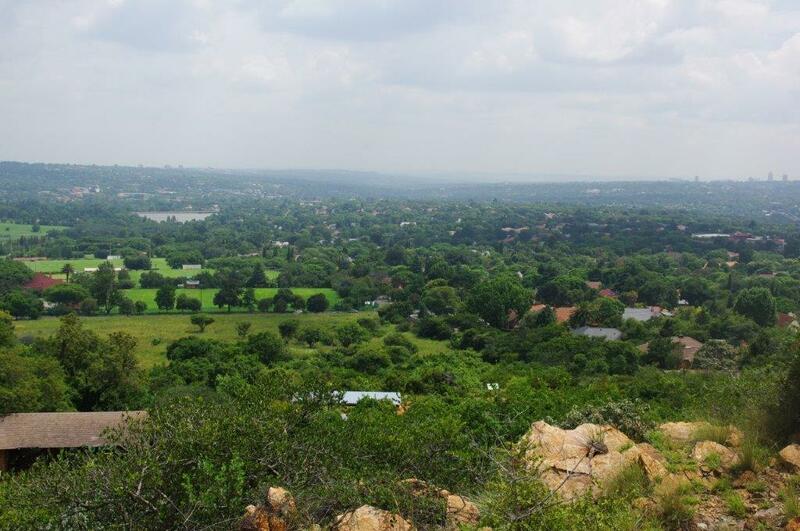 This huge farm originally stretched from Victory Park and Rosebank in the north, across to Killarney in the east and then down to Commissioner Street in the south, southwest to Mayfair and Coronationville and north-west up to the base of Northcliff ridge. Geldenhuys was hoping to strike gold. He did try – if you go on the guided walk around Melville Koppies Heritage Site and Nature Reserve, the remains of his failed attempts are still there to see. But there was no gold to be found on the northern side of the Witwatersrand ridge and he took to farming instead. Lourens had three sons, two of whom, Frans and Louw, built farmhouses in our area. The Marks Park Clubhouse, on the slopes of Melville Koppies, was originally the home of Frans Geldenhuys and Judith (Grobbelaar). In 1891 Frans and Louw registered the subdivision of their farms, the boundary being Orange Road. Louw married Emmarentia Margaretha Botha and their farmhouse still stands in Greenhill Road. The graves of some of the early residents of our area can be seen at the small cemetery in Hill Rd. Greenside was laid out in 1931, Emmarentia in 1937 and Emmarentia Extension in 1945. Emmarentia Dam was built mainly to provide work for landless farmers at the end of the Boer War in 1902. Big blocks of stone were taken from Melville Koppies for the dam wall. The dam and an area of land to the west of the dam were part of an endowment from Geldenhuys to the City Council to be used as a park and for recreational purposes. In 1952 the area was named Jan van Riebeeck Park to celebrate the tri-centenary of van Riebeeck’s landing at the Cape in 1652. Apart from the history, there are many things to do in Emmarentia from sailing to hiking, to playing cricket, tennis, soccer or any number of different sports.